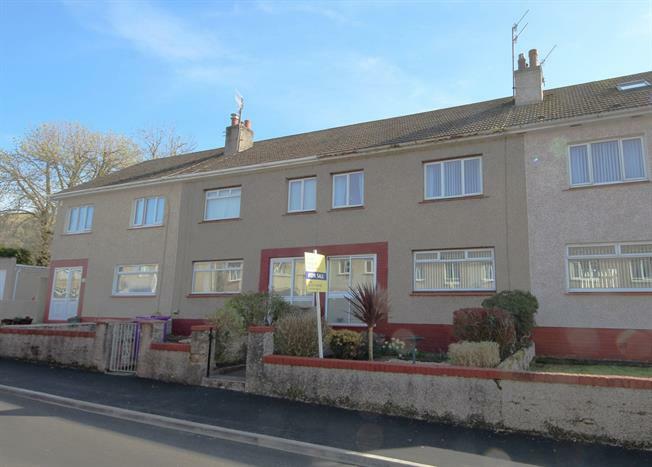 2 Bedroom Terraced House For Sale in Largs for Offers Over £120,000. Freshly decorated Terraced Villa within this popular and established residential locale which lies just off Gogoside Road on the south side of town. Representing an ideal first or second time buy, viewing reveals accommodation formed over two levels plus an easily accessible, fully floored and lined attic In more detail viewing reveals: reception hall with under stairs store cupboard, front facing lounge, rear facing dining room (or third bedroom), kitchen and sun room/utility porch. Upstairs leads to both fitted bedrooms and the bathroom. The property has gas central heating and double glazing and is offered for sale with all fitted floor coverings, many of which are new.. Garden grounds front and rear. There is also an area of shared ground lying to the rear which is accessed from the lane. Millburn Gardens is only minutes walk from Largs town centre and all associated amenities including Morrisons Supermarket, the railway station and various restaurants and cafes.